Despite the excessive focus on dissimulation (which also plagues Western analyses of Shia politics) and the Iran-wants-to-rule-Sunnis argument (does it really want to rule Indonesia? ), this is a good primer on Iran’s realpolitik in the Middle East and dovetails well with the findings of an excellent new book, The Limits of Culture. That `Atiyyat Allah has to chastise his fellow Jihadis for their conspiracy thinking and their overemphasis on cultural motives when analyzing state behavior shows that they are problems for the Jihadi analytical community. Same could be said for us. There’s disagreement about the Israel-Hamas truce on Ekhlaas today. Ekhlaas member Hafid al-Faruq thinks it squanders the blood of the martyrs who died to lift the siege. Asad al-Islam counters that there is no harm in a truce as long as the mujahids accept it; after all, Bin Laden himself offered a truce to Europe. Hafid counters that Bin Laden offered the truce to the Europeans from a position of strength. The rest of the responses line up with one or the other. In the final installment of the series, we’ll look at a piece of analysis from Ekhlaas member Abu Hamza 2005 titled, “A Modest Reading of al-Qaeda’s Strategy in the Levant [bilad al-sham]”. Abu Hamza begins by referring to Bin Laden’s 2007 statement, “To Our People in Iraq.” The statement, according to Abu Hamza, indicates that the Islamic State of Iraq is the nucleus of a future caliphate, but the caliphate will not be realized until the countries surrounding Iraq are defeated and Israel is destroyed. For this reason, Al-Qaeda “the Mother” (i.e. al-Qaeda Central) is very keen on expanding into the Levant and the other countries surrounding Israel. It also wants to establish branches in important global capitals, which can put pressure on foreign countries and scatter the focus of the enemy. Abu Hamza says that he is certain that AQ cells are being created in the Palestinian territories, Syria, and Lebanon. Because of al-Qaeda in Iraq’s geographical proximity, ease of communication, and networks in these countries, it is in charge of overseeing the development of these cells. Abu Hamza also says that northern Sinai, in Egypt, is also very attractive for AQ, but he does not mention any links with AQI. – On 19 August 2005, 3 Katyusha rockets were launched from the Sinai toward Eilat and the Gulf of Aqaba. – On 28 December 2005, 10 rockets were launched from Lebanon at towns in northern Israel. – On 20 February 2006, two Palestinians were charged with trying to carry out a suicide attack in the French Hill area of Jerusalem on behalf of the global jihad. As for Lebanon, Abu Hamza believes that AQ Central would be silly to enter the Lebanese political game at this time. The Sunnis are not ready to support a group like al-Qaeda, as witnessed by the bad end of Fatah al-Islam in Nahir al-Barid. (Abu Hamza relates that some observers believe that Fatah al-Islam was seriously negotiating with AQ about becoming a formal affiliate before it was crushed.) Since the fight in Lebanon is part of a larger strategic conflict between US/Israel and Iran/Syria, an escalation of the conflict will ultimately benefit the local Sunni militants. So AQ will watch from afar until the situation in Lebanon escalates to the point that the local Sunni civilians militarize and incline toward AQ to protect themselves (à la Iraq). Until then, Iraq is AQ’s top priority because it is the key to liberating Palestine. Once the U.S. leaves Iraq, al-Qaeda will transfer its leadership there and shift its focus elsewhere. I think Abu Hamza’s piece is appropriately titled since his estimation of AQ’s chances in the Levant are much more modest than the previous two items in the series. In this, he seems to be more in sync with Zawahiri, who has tried to play down expectations of an attack on Israel. As for the bit about AQ branches being established in important global capitals, it supports the argument that AQ attacks in Europe and the U.S. are meant support the mother organization’s goals in the Middle East. The next punditry we’ll look at in the series is by Yaman Mukhaddab. Mukhaddab is one of the younger generation of AQ pundits and has quite a following judging from the cross-posting of his analyses to other forums. Yesterday, he posted his response to Bin Laden’s two recent messages. Mukhaddab considers both messages–one directed to the West and one directed to the Muslim community–to be a single statement. They were split up, he contends, because they addressed different audiences that have different needs. For example, the message addressed to the Muslims had to be translated into Asian languages, whereas the message to the West had to be translated into European languages. 1) Bad days are coming for the Jihadis’ enemies. There will be simultaneous attacks in Europe and the United States very soon. The U.S. has received two messages and an offer of truce; ditto for Europe. Bin Laden’s third message is directed to the West collectively and since Islamic law often calls for things in three–three warnings, three requests for permission, three questions–this latest message should be considered his last before the simultaneous attacks on Europe and the U.S. Locally, Egypt is going to be the new site of Jihadi action. Bin Laden’s method is to quietly have his followers prepare for attacks. Once preparations are ready, Bin Laden announces a jihad against a local tyrant. Soon after, an insurgent group mobilizes, a “region of savagery” appears (Abu Bakr Naji‘s term for a security vacuum), and the tyrant loses control of the region. This is what will happen in Egypt, probably in the Sinai, just as it happened in Pakistan with the Pakistani Taliban and in Somalia with the Mujahideen Youth Movement. 2) Glad tidings for the Muslim community: a direct attack against Israel is coming very soon. It will be just a matter of months. The reason it hasn’t happened yet is that the Jihadis are still organizing themselves into small clandestine groups that can carry out attacks. Lebanon is very soon to follow. 3) The Jihadis’ enemies surrounding Israel have been exposed. When Bin Laden talks about the “parties” and “groups” that are thwarting the liberation of Palestine, in the first instance he means Hezbollah (“The Party of God”) and in the second he means the Muslim Brotherhood and Salafis who have accepted a truce with the government. 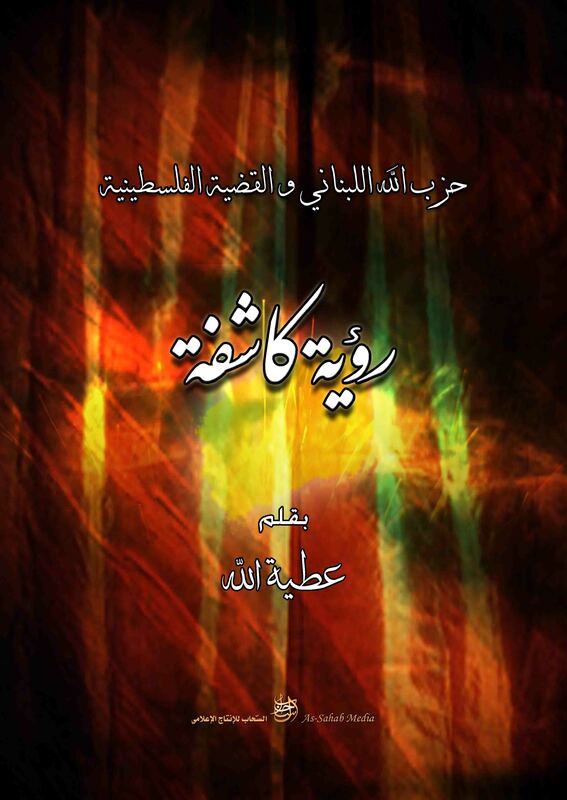 According to Mukhaddab, the Salafis are Sururis beholden to Salman al-Awda (more on this below). 4) Bin Laden has exposed the hypocrisy of clerics who support liberating Palestine but who don’t want to do anything about the countries surrounding Israel which provide it protection. At the end of his analysis, Mukhaddab summarizes the three main features of the new stage of AQ strategy: 1) a double strike on the U.S. and Europe; 2) the beginning of a direct war with Israel; and 3) the beginning of attacks on the countries around Israel. Mukhaddab finishes by saying that he would like to discuss the Islamic State of Iraq and how it fits into the plan, but he’ll save it for another time. It’s worth bearing in mind that Mukhaddab is a bit of chicken little. 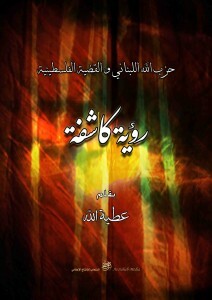 At the end of 2006, he wrote an article in which he analyzed a statement by Abu Hamza al-Muhajir, an AQ leader in Iraq. Muhajir had stated that the establishment of the Islamic State in Iraq heralded the end of one stage and the beginning of another. Mukhaddab believed his statement was indicative a strategic shift away from Iraq. I suppose he could claim Bin Laden’s recent messages fit with his analysis, but it’s a stretch, particularly since Zawahiri has played down expectations of an AQ strike on Israel before the U.S. pulls out of Iraq. Nevertheless, Mukhaddab has picked up on the same point as `Asqalani: AQ is going to shift its attention to the Eastern Mediterranean. Mukhaddab’s labeling of the sellout Salafis as “Sururis” and his claim that they are beholden to Salman al-Awda is worthy of note. The Sururis are Salafis who follow the teachings of Muhammad Surur, a cleric who blends Qutbism and Wahhabism. Sururism is big in Saudi Arabia, where it competes with the Muslim Brotherhood for control of the Islamist activism market. Salman al-Awda, a Saudi cleric and former firebrand, is often said to be a Sururi, but he’s denied it; indeed, it is a slippery label to apply. The Jihadis view the Sururis with contempt because they either a) don’t overthrow local Muslim rulers (at least in Saudi) or b) are not backing AQ in Iraq. On the last point, Akram Hijazi (a Jordanian professor) has reported that Sururi clerics are backing the Islamic Army of Iraq, the main competitor of AQ in Iraq. Bin Laden’s statement on May 18th has prompted several Jihadi pundits to speculate on AQ’s future strategy in the Palestinian territories. Over the next few days, I’ll post the most interesting speculation. For part one, we’ll look at a short post by Ekhlaas member Khalid al-`Asqalani. According to `Asqalani, Bin Laden has presented a complete program of action for the coming stage of the Jihadi movement, which is the liberation of Palestine. 1) Bin Laden explained that oppressive international order is in an alliance with Israel and its resources are at its disposal. 2) The apostate Arab regimes are the guardians of Israel’s security, so overthrowing these regimes will make liberating Palestine much easier. 3) The pressure of the repressive regimes causes the Islamic groups to abandon jihad on the justification that it harms the da`wa (spread of Islam). 4) Hezbollah is misleading the youth because it has duped them into thinking it is the only resistance to Israel and that any other resistance in southern Lebanon must give obeisance; it plays political games at the expense of the Muslim community; and it gives its allegiance to the Guardianship of the Jurist (i.e. the Iranian government). 5) Fighting and jihad are a “strategic choice” for the Muslim community to replace the strategic choice of the defeatist Arabs who submit to peace and recognize Israel. 6) A group of people must penetrate the borders of Palestine in order to resist the Israeli blockade. This is not quite the program of action that we were promised, but `Asqalani does pick up on Bin Laden’s call for jihad against the countries surronding Israel as a prelude to action in the Palestinian territories. 1) They have a mature mujahid leadership that is well aware of the situation on the ground and can make military plans accordingly. 2) A global community of Jihadis can be mobilized to fight in Palestine regardless of their nationality. 3) The Jihadis have established a central base with the Islamic State of Iraq that can supply every mujahid with weapons, money, and training and function as a gathering point. 4) The Jihadis know what they want, they understand their enemy, and they have pushed the religious scholars to mobilize the Muslim community to fight. 5) Palestinians now know that their conflict is not a national conflict but a religious conflict. `Asqalani is not alone in feeling that al-Qaeda is getting ready for operations against Israel in the Paletinian territories, even though Zawahiri tried to downplay expectations in his recent Q&A. In the following days, we will be looking at other Jihadi pundits who are responding in a similar manner. Bin Laden may only be throwing a bone to the Jihadis online and to those living in countries surrounding around Israel, but this sort of talk (increasingly frequent) also creates expectations, which in turn creates pressure for the al-Qaeda High Command to do more than talk. Muslims, Bin Laden argues, will only reclaim Palestine from the Jews by fighting, not compromising, since the only law that matters today is “the law of the predator.” To fight a wolf, you have to be a wolf. Before the twentieth century, the Ottoman empire protected Palestine from the rapacious Crusaders, but then Arab leaders like Sharif Husayn and Abd al-Aziz Al al-Saud worked with the British to destroy the empire, which removed Palestine’s protection. Since then, Western proxies in the region have prevented Muslims from reclaiming Palestine. To reverse this situation, Muslims need to follow the example of Saladin. He obeyed the Qur’anic command to fight against disbelievers; he consulted with religious scholars on the subject of jihad; he fought against local Muslim rulers who worked with the Crusaders; and finally, he did not get permission from his opponent to fight him. In contrast, Arab leaders are removing the Qur’anic verses on fighting from academic curricula; they have co-opted the ulama and only allow them access to the media to denounce jihad against the U.S. and its allies; they collaborate with the Crusaders and call those who fight them “excommunicating Kharijites;” and finally, the religious scholars in Saudi, led by a former revivalist leader, have made jihad conditional on the permission of the Saudi government. To those who object to Bin Laden’s thesis by asserting that Hezbollah is fighting the good fight, Bin Laden hints that Hezbollah’s leader, Nasrallah, is beholden to the Iranians; otherwise, why didn’t Hezbollah liberate Palestine in its war with Israel two years ago? It was merely a war of self-defense. The fact that Nasrallah allows Crusader forces (UN peacekeepers) to protect the Jews indicates that he is not serious. Others might object that there have been several wars fought against Israel to liberate Palestine. Bin Laden counters that none of the past wars were serious, except for the ’73 war; even then, Sadat only wanted to recapture the Sinai from the Israelis, not liberate Palestine. Today, Israel is weak and only survives by the support of the West and its surrogates in the region. If Israel had to face what the Soviets faced in Afghanistan against the mujahids, it would completely crumble. But since it is surrounded by surrogates of the West, there is no way to get to Palestine without fighting against them, whether they be governments or parties. This will involve killing people who profess to be Muslims, just as Saladin did in order to liberate Jerusalem. Several interesting things to note: First, Bin Laden is very bothered by the recent counter-ideology campaign of Arab governments in the Middle East, which consists of curricula reform, criticism by prominent religious scholars, condemnatory religious labels, and former Jihadi clerics in Saudi giving the right to declare jihad to the Saudi government. This last is an allusion to Salman al-Awda, who blasted Bin Laden in an open letter last Ramadan for bringing harm to the Muslim world. Third, the declaration that the Jihadis must fight their way through the surrounding countries to get to the occupied territories tallies with what Zawahiri said in a private letter to Zarqawi: expel the U.S. from Iraq, set up an emirate there, move to the neighboring countries, and then finally attack Israel. This puts Lebanon and Syria high on the list of new Jihadi theaters after the U.S. leaves Iraq. Fourth, Bin Laden’s dismissal of Nasrallh and Hezbollah plays well to his Jihadi base, which hates the Shia, but it is poor politics given how popular Hezbollah and Nasrallah are in the region. Today, al-Sahab (the organization that distributes Bin Laden and Zawahiri’s messages) sent around a statement by Bin Laden on the 60th anniversary of Israel. In his address, Bin Laden stated the “Palestine question” is the chief cause of conflict between Western nations and the Muslim community. It is the ultimate reason why AQ attacked the U.S. on 9/11. On the question of a Palestinian state, Bin Laden rejects the idea of a two-state solution. Either the Palestinians rule the entire area, or the jihad will continue until it is liberated. In an interesting turn, Bin Laden identifies the struggle of the Palestinians with the struggle of the Israelites for liberation under the pharaoh, who is the ultimate symbol of tyranny in Islam. Bin Laden’s statement on Palestine comes after months of Jihadis online urging AQ to do something in the occupied territories. Zawahiri first addressed the Jihadi lobbying in his Q&A, saying that AQ was going to focus on Iraq until the U.S. withdraws, then it will shift its attention to Palestine. But he also said that attacks against Jewish and Israeli targets abroad were a high priority. Bin Laden’s statement confirms it. In the next few months I expect to see attacks like those we saw in North Africa in 2002 (hotel and airplane attacks in Kenya, synagogue attack in Tunisia). 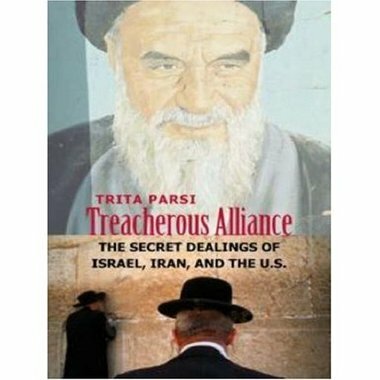 Trita Parsi’s new book, Treacherous Alliance: The Secret Dealings of Israel, Iran, and the U.S. is the subject of a long post on Ekhlaas. The poster uses it to prove his thesis that Iran is secretly working with the U.S. and Israel against the Sunnis. Many Jihadis maintain that the Shia, with Iran at their head, are allied with Israel. To bolster their claim, they will often point out that `Abd Allah b. Saba, a Jewish convert to Islam, originated the Shia practice of excessively venerating `Ali. Thus, it is natural that the Shia would work with a Jewish nation–it’s in their spiritual DNA. Never mind that `Ali rejected his excessive veneration and most Shia don’t believe he even existed. Filed Under: Iran, Israel, Shia Tagged With: Iran, Israel, Shia, U.S.